Instant access to over 2,000 sample pleadings, covering every stage of litigation and every consumer law subject area. 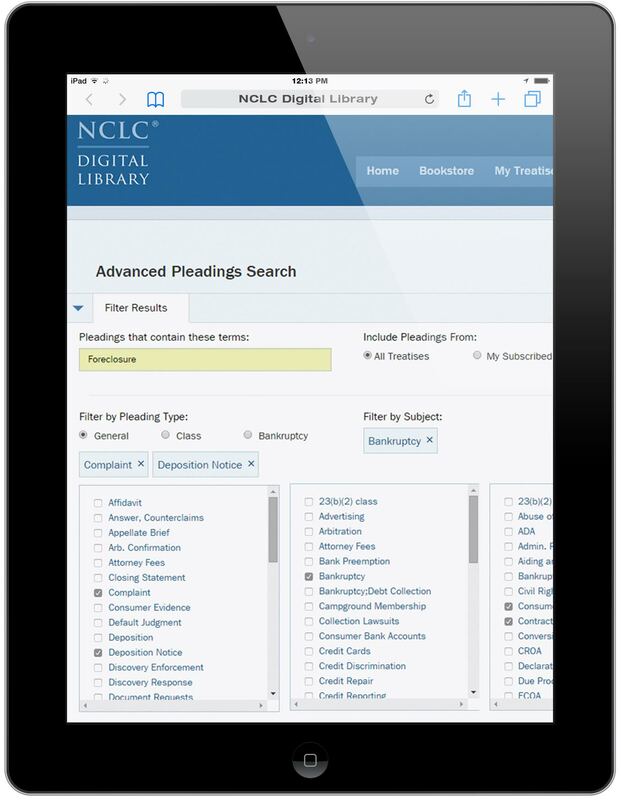 Pleadings are ready to print, download, or paste into your word processor. Powerful web search techniques pinpoint pleadings of a specific treatise, type, subject area, or legal claim. To view topics, see the Table of Contents in the left-side bar.